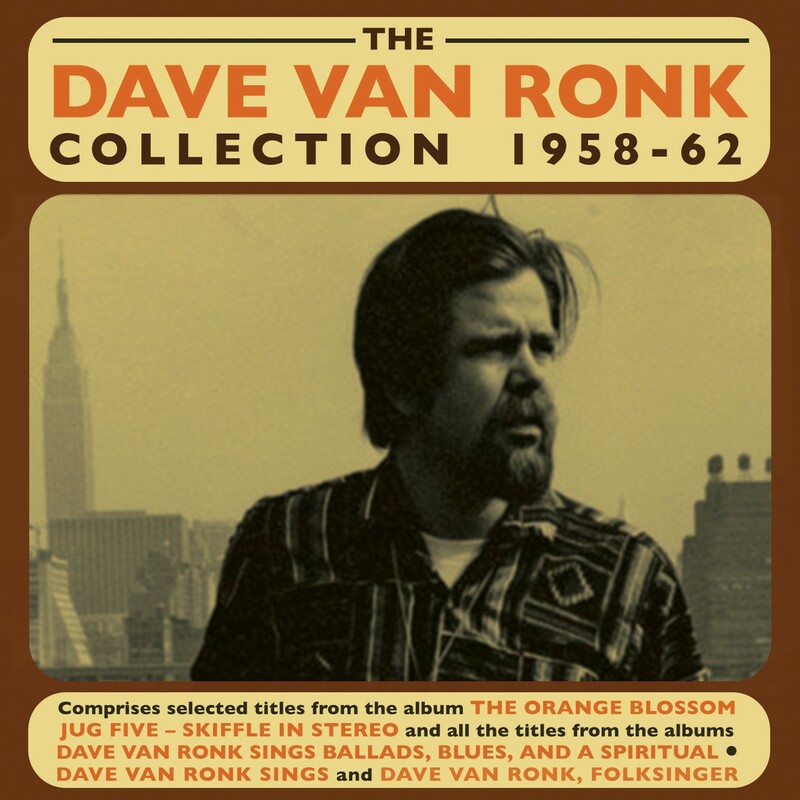 Dave Van Ronk was one of the key figures in the coffee-house culture of New York's Greenwich Village during the late '50s and early '60s, both as a folk-blues artist in his own right and as a friend, mentor, and general mover and shaker, helping particularly in the early career of Bob Dylan. As a guitarist and singer, Van Ronk's repertoire covered the gamut of traditional American folk and blues music, encompassing ragtime, skiffle, jug band music, New Orleans jazz, and swing as he helped popularise folk music in the changing musical environment of the post rock 'n' roll era. This great value 47-track 2-CD collection comprises recordings from the first five years of his recording career as he established himself at the core of New York's vibrant folk scene. It includes titles from one of his first recording projects, a 1958 album on the obscure Lyrichord label with the The Orange Blossom Jug Five called "Skiffle In Stereo", plus the complete content of his first three solo albums as a folk-blues artist for the Folkways and Prestige labels - "Dave Van Ronk Sings Ballads, Blues, and a Spiritual", "Dave Van Ronk Sings" and "Dave Van Ronk, Folksinger". It provides a thorough introduction to his early years, giving a fine insight into the repertoire which he and his peers saw as the core of the Americana tradition, and amply demonstrates why he became a much loved and respected personality within the folk community over the years.